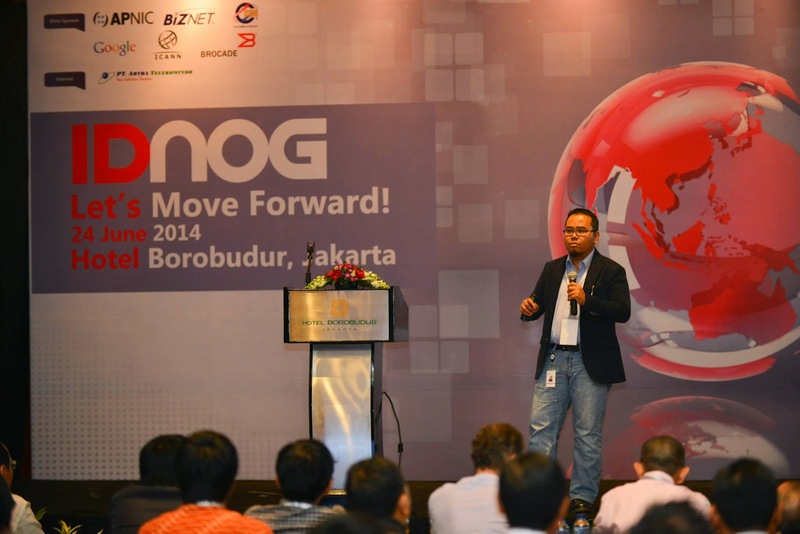 Last month I was asked to speak about Next Generation Networks at Indonesian Network Operators Group (IDNOG) forum. Whenever I speak about this subject with my customers, I usually use top down approach: started by talking about the business drivers and requirements, NGN architecture, to high level and low level design, before going deep into details to each supporting technology. This time I decided to take a different approach. Instead, I tried to demonstrate how to build a new SP network from bottom to up. The objective is to show how the network can be transitioned from the simple one that offers a single service, to the one that carry multiple services and become resilient Next Generation Networks. I don't know if the message was received by the attendees, but I run out my 30 minutes time so I continued that effort by conducting the webex session few weeks ago. The presentation I made for that session inspires me to write down about the six phases of network evolution below. And the phase will end up with the one thing that has become hot topic these days: Software Defined Network (SDN). When we build the network from ground up, the first and most important thing to focus is all about connectivity. Site A can connect to site B. User can access the server. This means we need to build the physical topology, enable layer 2 and L3 routing protocols (IGP, BGP) to provide connectivity. And it is common to deliver only single service (Internet/data) on global routing table. Then comes the next requirement to use the same network to deliver multiple services. MPLS is definitely the protocol of choice by industry to provide overlay in the network, even other tunneling protocols can still be used as long as the objective is achieved. The network now must be able to provide L3VPN and L2VPN services over MPLS, High speed Internet, voice over IP, IPTV for both multicast stream and unicast video on demand, even mobile services and multimedia. Convergence happens in access layer too: one IP MPLS network to carry different types of last-mile access networks technology. When we have big number of users accessing multiple services, especially for Service Provider, scalability factor becomes important. Nowadays we use IGP routing protocol only to connect between SP routers while the customer networks are carried using BGP. IGP must be fine tuned and link-state protocol area design must be done properly to make it scalable. BGP RR design becomes crucial when the number of BGP speakers is high. Multiple BGP AS must be able to work between each other to carry the services seamlessly. Even the design of every part of the network need to be unified and consistent in order to make it easier to scale up. QoS will kick in when there is congestion in the network. When there is no congestion, QoS is applied to limit the service in order to differentiate service level provided to end user. QoS implementation in Service Provider network is obviously different with Enterprise network. In SP it's common to share network infrastructure that spread across the nation connected with WAN links, with potential of network congestion, to serve big number of users trying to access multiple services. QoS makes sense to be applied to prioritize certain type of traffic, or to charge the customer differently depending on the agreed service level. In Enterprise network such as LAN campus network or data center, it is already considered low latency network with sufficient bandwidth pipe hence the QoS implementation focus is most likely on the WAN link. The target for HA and resiliency in the network depends on how much we can tolerate services unavailability. Some customers can afford network downtime for days while others can only tolerate fraction of seconds. 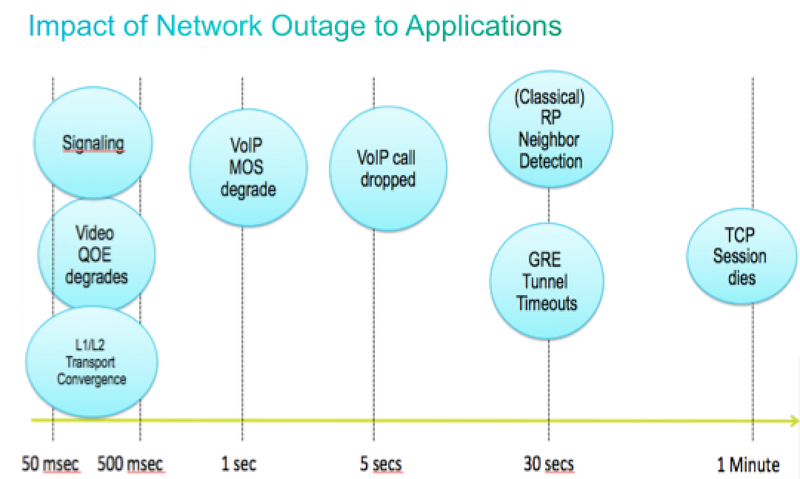 Some applications can continue to work, or to resume immediately, when it gets disconnected for more than few seconds while some others can show serious disruption when the network is down within miliseconds. So we need to look at high availability and resiliency from end to end perspective. Physical topology redundancy is good but may not be enough. Link down or network node down detection becomes crucial. IGP can be fined tune to react below 500 ms. Hardware availability combined with NSF, NSR and GR may be able to provide 0 packet drop during route-processor failover. BGP fast convergence is done in forwarding plane, even in control plane it still relies on IGP convergence. Multicast streams can be active-active and in parallel using path diversity to provide always-on IPTV service. MPLS TE and IP FRR may be used to achieve sub-50 ms while waiting for the IGP to fully converged, in exchange of more complexity in the network. And infrastructure security is another factor to consider to ensure network availability. "Simplicity is the prerequisite for reliability". In order to provide reliable services it should be simple enough to run the network. Some believe if network management works as expected we won't even talk much about SDN. The fact that the network today has become very complex to manage, even with various management tools available in the market, makes many of us are looking for the solution that seems to be promised by SDN. We still need to run lots of management protocol like SNMP and RMON. We still need to secure management channel through SSH or other encrypted channel. But now we want the network to be agile to adopt to the changes that come from lots of new applications. We need to be able to provision new services quicker. We are talking more and more about automation and network programmability. We want the network to be efficient. We want to hide all the complexity that happens in the network to make it efficient for the operator to run and manage it. 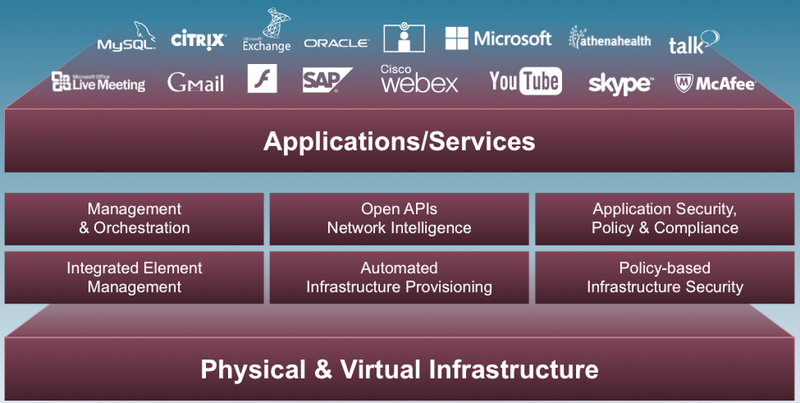 And SDN may be able to do so by providing the abstraction to provide the simplicity to run the network. In the end, with the amount of complexity built up when the network transforms from one phase to the other as above, it's clear why SDN looks promising. It's easier now to understand why people believe SDN is the answer. Because it's simply the part of the network evolution. Question is, Why Use VPN? This is mainly due to increased internet censorship and extensive visitor tracking worldwide. Internet censorship in countries like China, Iran and UAE has expanded to the extent that many world’s top websites and services including Facebook, Twitter, YouTube, MySpace, Google, Skype etc. have been completely blocked. These services and websites in internet censored countries cannot be accessed until or unless you are on Proxy or iron socket VPN.